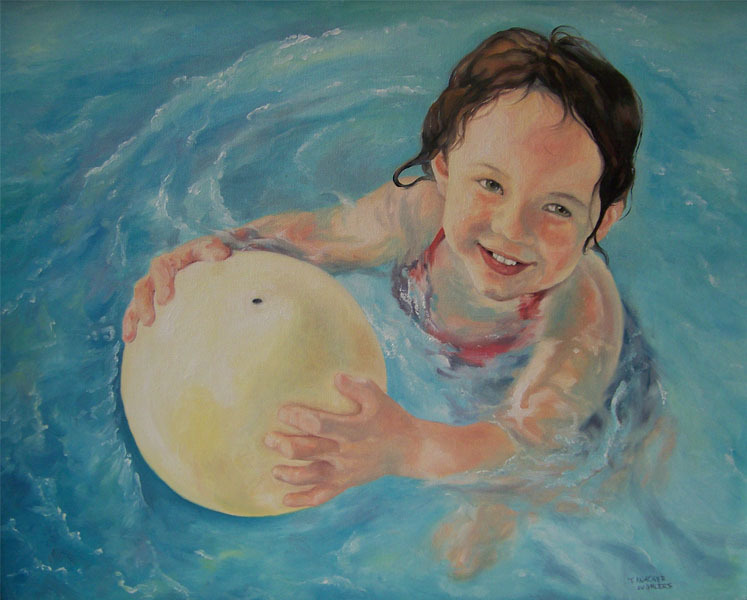 An original oil portrait painting of a child playing in sparkling blue water. Who doesn’t enjoy playing in the water.. and paintings of children playing?! We all love the memories we’ve had as kids, splashing around at the beach and in the hotel pools as seen in this child portrait.